← The most unexpected and annoying CarFree Challenge! 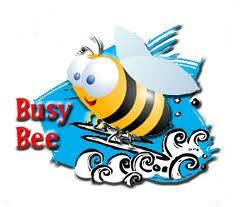 Busy Like a Bee with Barely a Moment to Pee! The 4/5 spot really bounces back and forth between us. But I’m humble and have no problem sharing the #4 spot with Marshall. Ok, enough nonsense. The title says it all but I’ve been busy in a good way. On my way home from campus today when I realized that my lunch meeting ran long and I wouldn’t have time to do much more than drop off my bag, turn around and hop in the train to Boston it dawned on me. Who am I going to see at this event tonight? This thought only entered my head because I’ve given up on fashion and dressing myself. Not in that dirty sense, get your minds out of the gutter. Instead, over the past week or so I’ve adopted a uniform to live everyday in that can fit almost every situation and my CarFree lifestyle. I won’t reveal what it is but it has garnered a number of comments from people(positive comments). It has just now struck me that I can’t have people notice my uniform if I ever hope to see them again. The people I see everyday probably know that I’m a fanatic for time efficiency and haven’t even bothered to question my new uniform because they know I’ll answer them. But the people I don’t see all the time and don’t know, what will they think? I didn’t have time to change and deep down, nor do I want to. So I’ll just hope that everyone that I meet only every so often reads CarFreeBrad.com and my problem is solved. This entry was posted in Bike commute, Car Free, Urban Bike and tagged Bee, Bike-Friendly, Boston, Burt's Bees, Business, Car-free movement, CarFree, CarFreeBrad, CarFreeBrad.com, Clark University, Freight Farms, Massachusetts, Pee Wee, Worcester. Bookmark the permalink.